Extremely lovely people looking after you at this hostel, more like a home than a business. Would go back in a heartbeat. Warm showers, a locker each and comfy beds what more does one need. 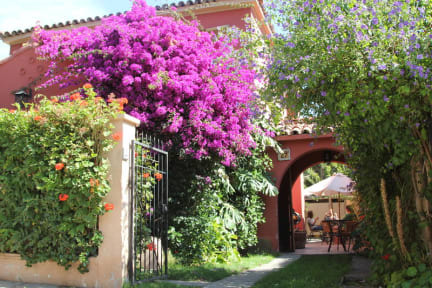 Wonderful hostal. The staff were great, very pleasant and most helpful. The hotal was kept clean at all times. It is close to the center of town, local supermarket and laundry and about ten minutes from the bus station. The is very little I can add except that I will return to this hostal. Helpful and friendly English-speaking staff and comfortable room. We booked a double room upstairs with a shared bathroom. Bathroom was cleaned daily and the room was spacious with a large closet. Safe and convenient location close to a mall with a massive Lider (Walmart) to buy groceries and anything else you can possibly think of. Restaurants and buses for sightseeing are nearby as well as the Japanese garden. Breakfast was simple but good. Bag storage available after you check out. Great hostel! Super homey, cozy (great beds! ), and a friendly staff. Not a party hostel by any means! Good Wifi, hot water etc. Small kitchen, but functional. Super safe! Loved it! Actually ended up staying at the other location. Turned out to be even better than this location! Nicest family run hostel I’ve ever been too! Can’t wait to stay again. We turned up to the wrong hostel (didn’t realise there were 2) but that staff were very lovely and allowed us to stay there instead. The beds were extremely comfortable and clean. Facilities were very good. Breakfast is also very good. There is also a good deal for surfing if you stay at the hostel. Very close to the beach and close to a large supermarket. Highly recommend. Really good, small hostel in a great location - city centre 5 mins walk; beach 20 mins. Reliable Wi-Fi, hot showers, comfortable beds, friendly staff and a decent breakfast. Definitely recommended. 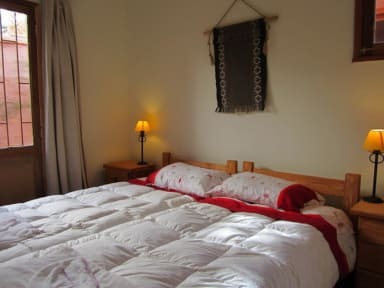 A nice cosy hostel close to the centre of La Serena and about 20 mins' walk from the beach area. Catch the bus and boat to Isla de Damas and go on an Elqui Valley tour (a bit harder to do by yourself because there are many different places of interest spread out over the valley). Nice hostel, very clean and close to a supermarket. The beds are comfy and the staff nice enough. However, the atmosphere is very limited, probably wouldn’t stay again but still a nice hostel. We took 2 double rooms. not an ideal place if you want to cook or want spacious common areas. Also had some confusion with the hostel about exemption from the IVA tax. It was sorted eventually but only when we paid cash, which doesn’t make sense as it’s supposed to be available for foreign credit card. Plus sides: Comfortable beds and spacious double rooms. Down sides: Terrible kitchen - can’t cook with more than 2 people (Max!) in it. Only 1 bathroom upstairs. Lack of space in common areas.